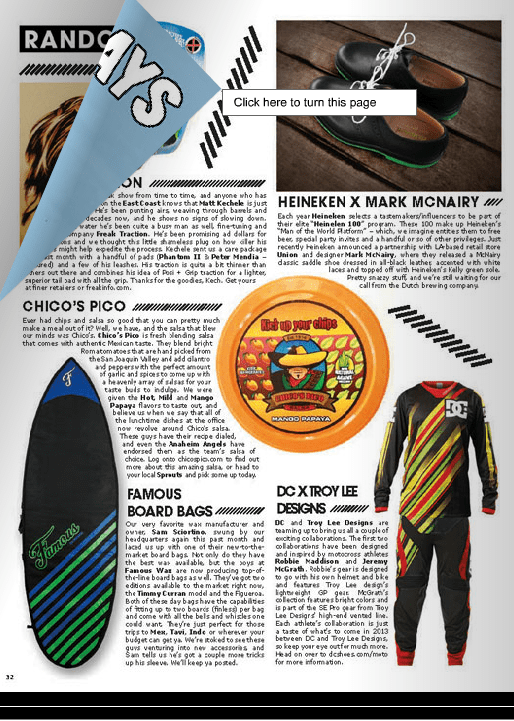 BL!SSS is a free magazine that you’ve seen at your local surf, skate, or snow shop. Perhaps you’ve grabbed a copy at your favorite coffee house, art gallery or boutique. It’s a beautifully photographed magazine featuring articles on the action sports industry; (surfing, skating, snow sports) as well as articles on art, music, and fashion. OooO How exciting! I heart Chicos! !